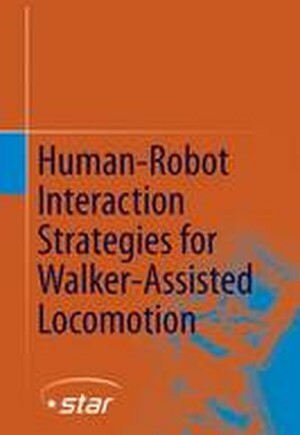 This book presents the development of a new multimodal human-robot interface for testing and validating control strategies applied to robotic walkers for assisting human mobility and gait rehabilitation. The aim is to achieve a closer interaction between the robotic device and the individual, empowering the rehabilitation potential of such devices in clinical applications. A new multimodal human-robot interface for testing and validating control strategies applied to robotic walkers for assisting human mobility and gait rehabilitation is presented. Trends and opportunities for future advances in the field of assistive locomotion via the development of hybrid solutions based on the combination of smart walkers and biomechatronic exoskeletons are also discussed. Assistive Devices for Human Mobility and Gait Rehabilitation.- Human-Robot Interaction for Assisting Human Locomotion.- Development of a Cognitive HRI Strategy for Mobile Robot Control.- Cognitive HRI for HumanMobility Assistance.-Multimodal Interface for Human Mobility Assistance.- Conclusions and Future Works.